Week 31 is Exhibition Week! Next week is Exhibition Week! DVS Exhibition Night will be on Thursday 4/11 from 6-8pm, with project exhibitions from students in grades 9 & 11. We hope to see all of our parents there! 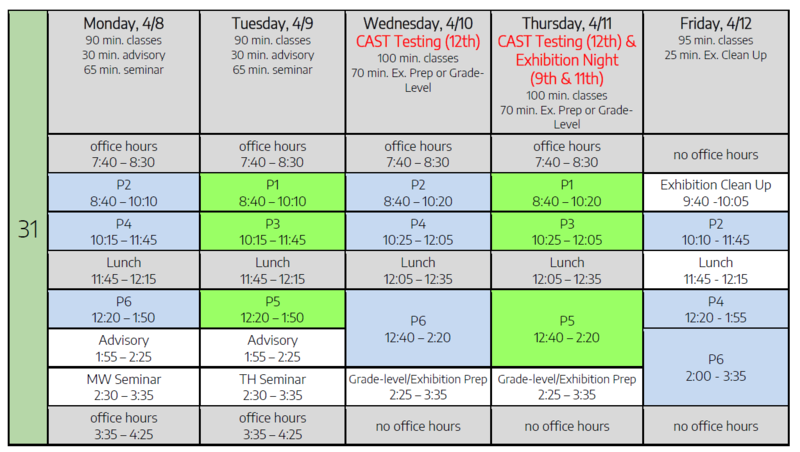 Seniors will be taking the California Science Test (CAST) on Wednesday and Thursday. 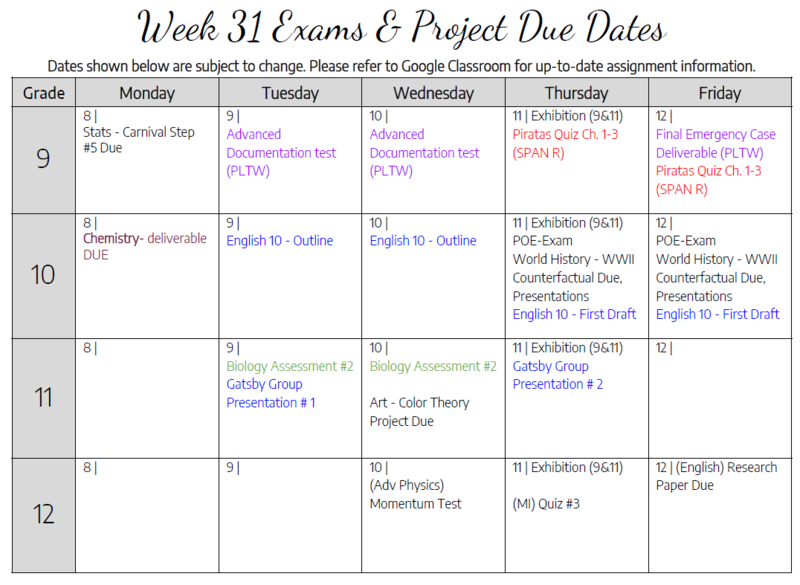 Here are the schedule and calendar of due dates for the week. Have a great weekend!